Newtec deployed its Dialog hub for the Agencia Boliviana Espacia (ABE) which aims to enable the Agency to extend access to residential broadband to at least 6,000 users. The service will be delivered via ABE’s Tupac Katari 1 satellite in Ka-band. The project, which is part of the government’s National Broadband Plan, will serve the currently unserved Bolivian population at an affordable rate of entry for plans ranging from 4Mbps download and 1Mbps upload, and will mirror a similar cost of residential broadband access found in urban areas. The service will utilize the MDM2210 DVB-S2X IP satellite modem which is a two-way, high throughput modem that supports a wide range of Internet Protocol (IP) services such as internet/intranet access, Voice over IP (VoIP) and multicasting services. Its modulation techniques and integrated Wi-Fi help enable network operators to offer IP broadband services in a cost-effective way over Ku- and Ka-band networks. The Bolivian government recognizes the importance of the availability of broadband services both for businesses and the general population of the country and aims to connect 50 percent of households to an Internet service by 2020. 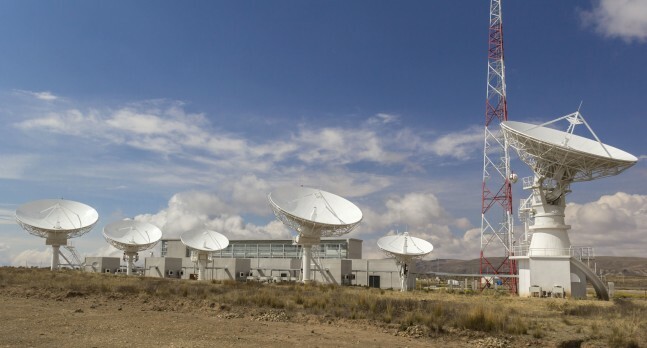 The post Bolivian Space Agency Deploys Newtec Dialogue Hub appeared first on Via Satellite. Does DARPA Want to Shrink Satellites?